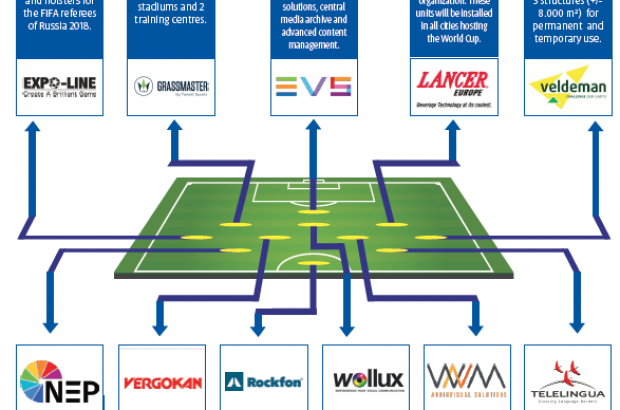 Three Walloon companies were among the 11 chosen by the Belgian authorities to back up the national football team at the World Cup in Russia this summer. EVS is a video production company based in Seraing near Liège, which specialises in providing slow-motion replays for TV viewers at home and spectators in stadiums. The company provided all the equipment and operation for replays, content management and archival of video material. Meanwhile, Charleroi company DreamWall has created a 3D virtual football stadium used by the French TV station TF1 to show matches. It features a full stadium of virtual players and even what the company calls teleportation – players can be moved around at will. DreamWall is a partnership between public broadcaster RTBF and media company Dupuis.